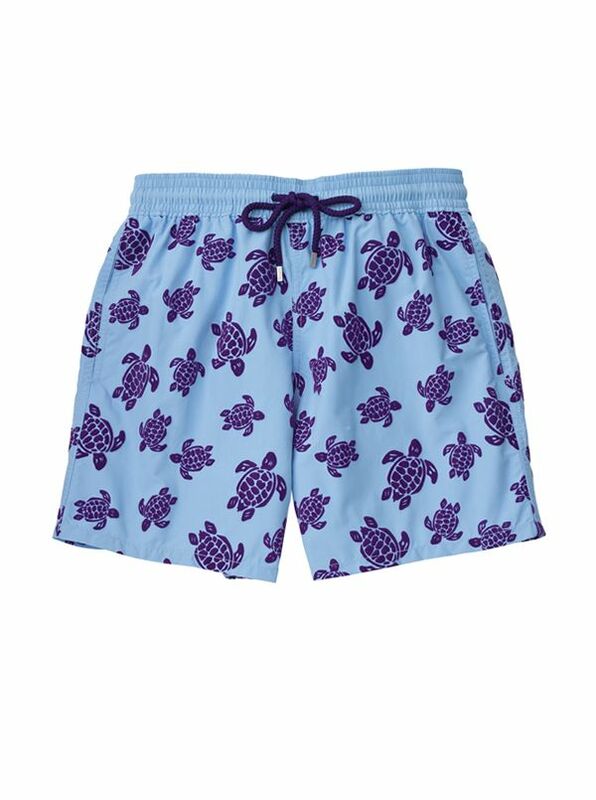 Vilebrequin Flocked Turtles Swim Trunks are the originals designed in Saint-Tropez. Tailored of quick-drying polyamide with drawstrings tipped with stainless zamac Velcro flap back pocket grommets for water removal pure cotton mesh liner 2 side pockets back logo patch. Mid-thigh length. Imported.